Based on the award-winning graphic novel by Raymond Briggs (The Snowman), this animated BBC film tells the story of his parents' long, happy marriage. 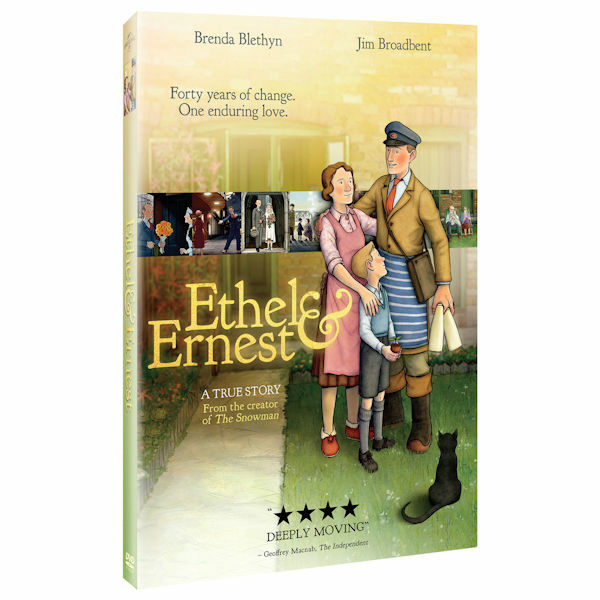 Ethel (voiced by Brenda Blethyn) is a lady's maid, Ernest (Jim Broadbent) a milkman who marry, have a son, Raymond (Luke Treadway), and live out their lives in a London suburb from the late 1920s to their deaths in 1971. An enchanting tale of enduring love and devotion. 90 min, 1 DVD.